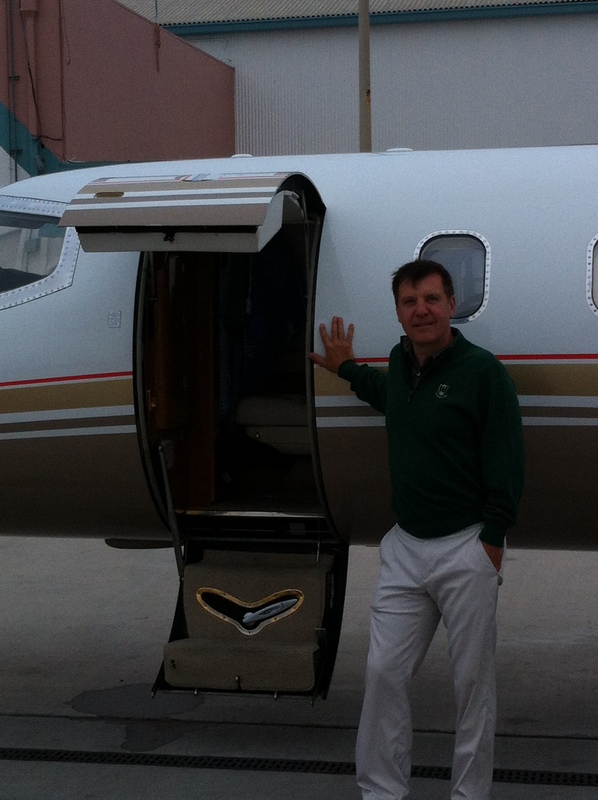 Taking a private jet into Cooz Bay makes the trip a lot more enjoyable, that combined with playing with my good pal and fellow Olympian Mark Mance. Mark can play and has a great amateur resume, including playiong in this years USGA Mid Amateur. 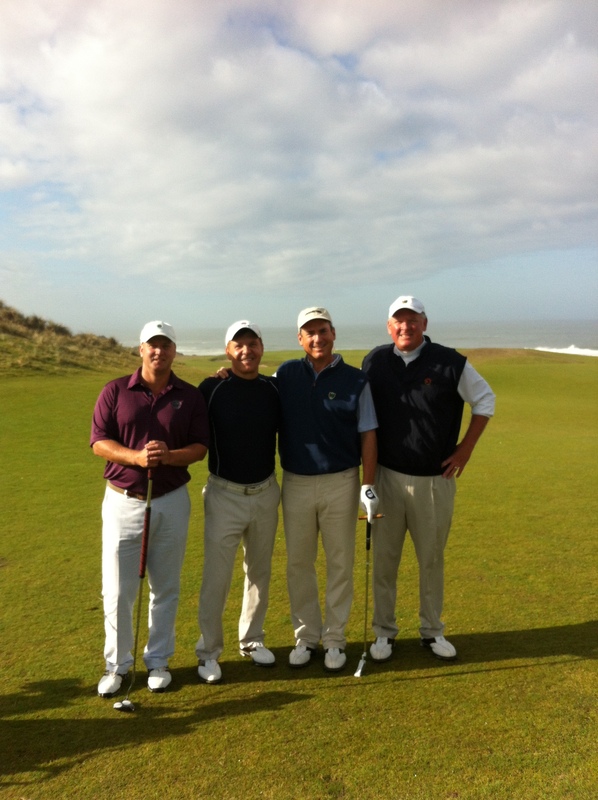 Additionally we were paired with the dream team in round 1 at Bandon Dunes was a lot of fun. Oh the dream team is of course Mike McCoy and Gene Elliott from Iowa. These two guys are both prominent A+ amateurs and have won hundreds of amateur tournaments. But on this 1st day they got off to a slow start with a bogey on #1 followed by not many birdies for a lackluster -3 69. But knowing these guys I was certain they would get untracked and off and running in round two which they did. Below is a photo taken in the 4th fairway with the Ocean in the background. 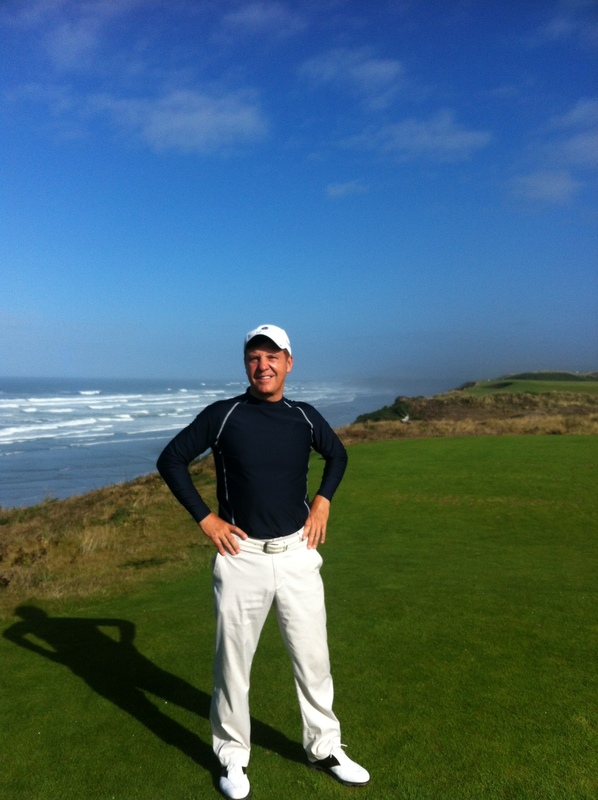 So starting with Bandon, I was impressed with this course and the feeling of playing a true links course in Scotland. It is a very playable course, not too tight, but it has ample areas you want to avoid. The Ocean holes provide spectacular vistas of the Oregon coastline. Mark and I had a mediocre -4 round of golf that was slowed by the poor performance on the par 5’s at only -1 on the day. The only irritant was the 5.5 hrs it took to play a BEST BALL round of golf. I think guys feel they’ve come a long ways to play golf and they should be able to take their time, help their partner read putts, and take in the scenery.My answer to that is HOGWASH slow play ruins the flow and fun of the game, a better ball event played in over 5 hours is almost unthinkable, to make matters worse, the second round at Pacific Dunes was 6 hours. We waited on every shot, and on some tees there were three groups. But hard to complain as the three days had amazing weather, great competition, good food, and nice accommodations. Round 2 was another very lackluster day for Mark and I with very few birdies and one closing bogey on #17. All of that was blah blah blah leaving us well back of the dream team that vaulted into a tie for the lead with a -7 64 at Pacific Dunes. Four back of those guys was going to be tough to overcome, but we started round three with three consecutive birdies, and then just went flat until 9 and 10. On these long holes I launched big drives leaving 9 iron into the green, after a VERY long wait I made the mistake of not focusing on my shot and quick hitting two horrible shots that lead to a team bogey on #9 and a double bogey on #10. After a few pars, I found myself finally making a 8 footer on #13 a two incher for birdie on 14, followed by a shot on 14 that I cannot believe I pulled off. I had a HUGE mound in front of me 250 yards out from the uphill green slightly into the breeze. I dropped my right shoulder to get some height on the shot, and blasted this 3 metal to three feet from the hole. After a long wait, I moved on my putt and missed it badly. That hurt, but didn’t stop a birdie on 17 and 18 to finish with a 66 for a third place finish with Mark. The 4 shot difference was easily compensated for with some additional patience which I just didn’t have during this 5.5 hour round. It was a great event, the dream team won going away, and a good time was had by all! !